Synopsis: This sequel to the 2001 hit video-game adaptation Lara Croft: Tomb Raider finds Jan de Bont stepping in for director Simon West, helming his first feature since 1999's The Haunting. 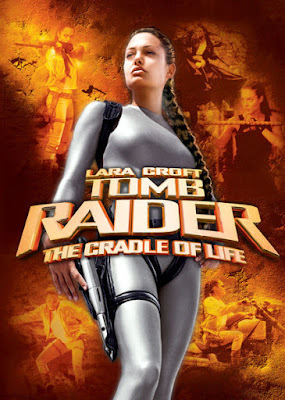 From a script by first-time scribe Dean Georgaris, Lara Croft: Tomb Raider: The Cradle of Life finds Angelina Jolie once again portraying the titular curvaceous adventurer. But where the first film saw Croft in a race against the Illuminati to acquire an elusive relic that offers control over life and death, this entry in the series follows the heroine as she ventures to an underwater temple in search of the mythological Pandora's Box. Unfortunately, once she secures the legendary artifact, it is promptly stolen by the villainous leader of a Chinese crime syndicate. It is then up to Lara to get the box back before an evil mastermind gets hold of it and uses it to construct a weapon of catastrophic capabilities.